The Beatles tribute band Like the Beatles will perform concerts tomorrow and on Sunday at the Mediterranean Conference Centre, Valletta. Reputed to be the UK’s most authentic Beatles tribute band, Like The Beatles has been entertaining audiences all over the UK and Europe for more than a decade. Through their costumes and use of authentic instruments, they recreate the same energy and atmosphere that the boys from Liverpool generated years ago. 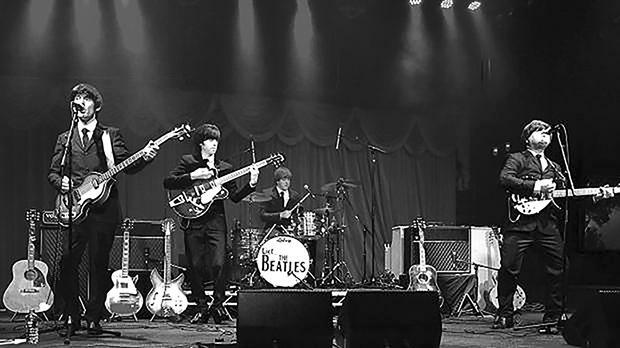 Like the Beatles will perform at the Mediterranean Conference Centre, Valletta, tomorrow and on Sunday at 8pm. For tickets call 2180 1403 or visit https://www.showshappening.com/mcc/Like-The-Beatles.